Multiple Teams · Mar 13 Girls Volleyball: Parents Spring meeting! Multiple Teams · Mar 11 March 20, 2019 – Girls volleyball player meeting!! Ladies, My name is Coach Ebright, and I will be your Head Coach at Westerville Central. I am setting up a date to meet last years players and discuss upcoming events. I would like to meet with you on Wednesday, March 20th from 7:00-7:30pm at Central (room TBA). Looking forward to meeting with you! 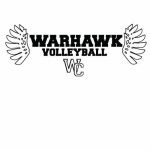 Girls Varsity Volleyball · Oct 12 Warhawks Rule The Ville by Taking Down the Wildcats in 3!